City of Edinburgh Council has been landed with a notably low uptake for a controversial new paid-for garden uplift scheme. The service, which used to be run on a complimentary basis, will now be subject to a £25 charge. But it has now emerged that just 45 per cent of users have made application to pay for it. Dubbed the ‘garden tax’ the policy has also experienced problems over payment and potential fraud. The deadline was extended until Tuesday following an IT meltdown at the weekend. Fears have now been raised that the proportion of people with gardens not signed up to the scheme has undermined its environmental benefits. There are now fears that flytipping will flourish along with backyard bonfires. However, the council has claimed that it only expected 46 per cent of households to sign up for it and that the business case has been met. 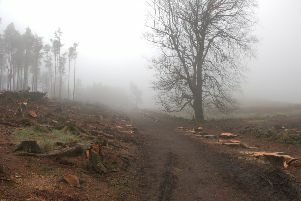 Transport and Environment Convener, Councillor Lesley Macinnes, said: “I’m pleased that so many people have responded. It’s clear that the public recognise the benefits of this improved service, with so many choosing to sign up. She added: “Throughout the planning process we’ve taken into account the challenging circumstances faced by some residents, and through our exemption scheme for those receiving Council Tax reduction, we’ll be able to collect 6,543 garden waste bins for free this year. “There will, of course, be further opportunities to register and I would encourage anyone who has missed the deadline to sign up for alerts for the next window later this year so they can benefit from new, fortnightly collections. Liberal Democrat councillor Kevin Lang, who fought the move, said: “It raises serious questions on how much money the new tax will raise and on what will now happen to all the garden waste in unregistered households.